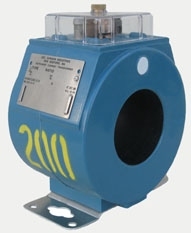 Proudly Engineered, Designed And Manufactured In the U.S.A.
GEC Durham Industries Is Devoted Exclusively To The Design And Manufacture Of 600 Volt Instrument Transformers And Accessories For Metering Applications. There Is No Better Partner For Electric Utilities And Distributors Than GEC Durham Industries. The First Astra Transformers Were Developed In 1961 And Our Team Has Concentrated Its Research, Engineering And Production Capabilities On Creating The Most Innovative Designs And Producing Them To The Highest Quality Standards. Simply Stated, GEC Durham Industries Has Produced The Products Which Meet Customer Needs As The Customer Has Defined Those Needs. Our Commitment To Quality Is What Benefits The Customer And We Take This Commitment Seriously. We Are Committed To Getting Things Done When You Need Them. We Strive For Quick Responsiveness To Your Concerns And Challenges. Test Our Transformers and see where the Ratio Correction Factor and Phase Angle falls in the ANSI Parallelogram.